Grocery chains across Canada moved quickly to take possibly E. coli contaminated romaine lettuce off their shelves on Wednesday, but the lack of a formal recall notice for the product has made things more difficult for them by muddying the waters of who will pay for the loss in sales. Grocery chains across Canada moved quickly to take romaine lettuce that could be contaminated with E. coli off their shelves on Wednesday. But the lack of a formal recall notice for the product has made things more difficult by muddying the waters of who will pay for all that wasted food. Health authorities in the U.S. and Canada issued expanded warnings this week about romaine lettuce that has so far been blamed for sickening 18 people in Ontario and Quebec, one in New Brunswick and 32 Americans across 11 states. A particularly virulent strain — E. coli O157 — is the suspected culprit, and officials believe the source of the outbreak may be a single source of the vegetable that has yet to be isolated, coming in contact with infected animal feces at some point during the farming process. The Public Health Agency of Canada issued a public notice on Tuesday advising Canadians to avoid the vegetable until further notice, and the U.S. Centres for Disease Control is giving similar advice. Both warnings fall short of a formal recall mandating the removal of the product, but some of Canada's largest grocery chains have pulled it from their shelves anyway. 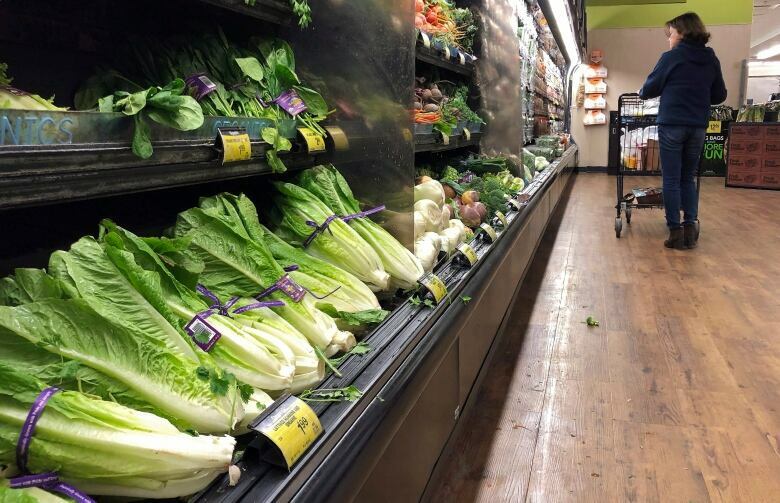 "Out of an abundance of caution," grocery giant Loblaw told CBC News in a statement Wednesday, "Loblaw Companies Limited is recalling and removing from store shelves across the country all romaine lettuce products." In addition to pulling the product from its shelves so new customers can't buy it, on Wednesday the grocery chain started contacting customers of its loyalty program, PC Optimum, instructing them that they can return the product to any store for a full refund. Loblaw knows those customers bought the lettuce because their purchases are tracked every time they collect points. Montreal-based chain Metro Inc. echoed that sentiment, noting that all the chain's Canadian stores "have preventatively and temporarily removed from our shelves all romaine lettuce." Romaine lettuce is included in more than 300 different products sold by Nova Scotia-based Sobey's Inc., and it too has acted swiftly to get all of them off the shelves across the country. "It's complex, but it shouldn't stop you from doing the right thing," said Lyne Castonguay, the chains' executive vice-president of customer experience in an interview. But that poses a logistical problem for retailers. Unlike safety issues with consumer goods like automobiles and other products, the complicated series of rules about who covers the cost of disposal and replacement doesn't come into effect until a recall notice has been issued. Since that doesn't exist in this case, grocery chains must bear that cost until the supplier responsible for the problem can be identified. While Sobey's declined to offer specifics on what removing the lettuce has cost so far, in the meantime "it is on us and it's millions of dollars," Castonguay said. "There's no amount of money that's worth having somebody sick or having a fatality." Jason McLinton, the vice-president of the grocery division and regulatory affairs with the Retail Council of Canada, said his organization has noticed a marked increase of these situations in recent years, where a food item may be unsafe, but no formal recall order has been issued by authorities. "We are seeing more and more of these 'do not consume' advisories being issued and it's new to consumers and people don't know quite know what to make of it," he said in an interview. "That puts members in a very challenging situation [and] it's causing quite a bit of confusion in the marketplace." With millions of products on their shelves, grocery chains rely on agreements with thousands of suppliers for what to do when they are found to be defective. "This territory is not well known as compared with something like a recall," McLinton says, "where things like that tend to be built in directly into the contractual arrangements that retailers get into with their vendors and producers." 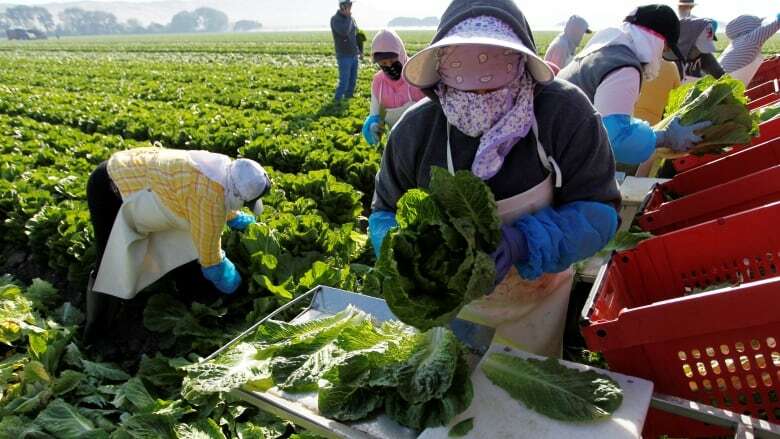 The industry found itself in the same situation last year, when a similar strain of E. coli linked to infected lettuce sickened dozens across the continent. Then, too, the Canadian Food Inspection Agency warned Canadians not to consume the product, but fell short of issuing a formal recall notice. "It's the same playbook [as last year]," Prof. Keith Warriner, a microbiologist specializing in food safety at the University of Guelph told CBC News this week. "They seem to be saying, 'We're not going to recall it, but we advise you not to eat it.' which I think is a bad thing because it gives confusion." The Canadian Food Inspection Agency told CBC News in a statement Wednesday why the bar for an official recall has yet to be hit. "If a specific brand and/or source of romaine lettuce or other product is identified in the investigation, CFIA will take appropriate action," the agency said. "If a food recall warning is issued, CFIA would verify that the food industry and retailers remove the recalled products from the marketplace." Neither the Canadian or American food safety investigation have been able to identify a specific product of concern in the Canadian or American market place. All products tested as part of the investigation have been negative so far." For its part, the federal government would say only that is is monitoring the situation to get more information. "It's certainly a complex situation," Health Minister Ginette Petitpas Taylor said. "I encourage all Canadians to follow the warnings that are put out there. "I have confidence in the staff [that] they're doing the investigations and will do all they can to get to the bottom of this."